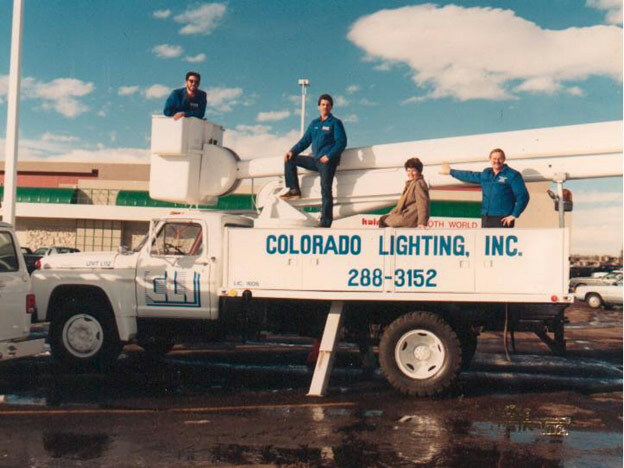 Colorado Lighting, Inc. was founded in 1977 and has seen a steady controlled growth over the past years. We have on-staff certified lighting consultants, journeyman electricians, and certified lighting technicians. Our highly trained electrical contractors drive fully stocked service vehicles. In addition to our service vehicles, we have fully stocked bucket trucks with the capability of reaching up to a 100-foot working height. We are very proud of our accomplishments to date, a pride we feel is reflected in our lighting company and the work we perform. We have a very comprehensive safety program, designed specifically for our industrial lighting applications. We are covered with complete liability insurance and believe that this, along with our safety program, are very important features that we have to offer our customers. From a liability standpoint, it is very important that contractors working in a facility are familiar with these issues, should a problem arise. The Colorado Lighting team is here to provide comprehensive energy solutions for your business, offering versatility and affordability with every product and service we offer. Contact us today to see how our commercial lighting experts can help you!